In an art deco grand hotel, tourists and travellers, the famous and infamous, mingle in the 1920s, stopping over in the 1970s and 2040. Sneak behind closed doors to witness their intimate stories, guided by the time-spinning groom and the artful maître d’hôtel. 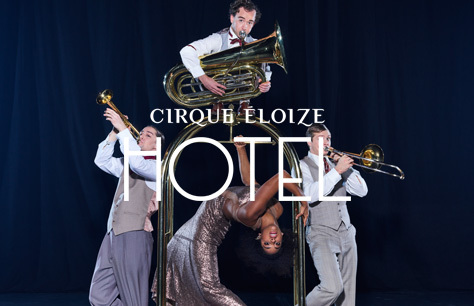 With 12 acrobats and musicians, and an original score by Éloi Painchaud, Cirque Éloize show off their trademark blend of circus and drama in a place that never sleeps.